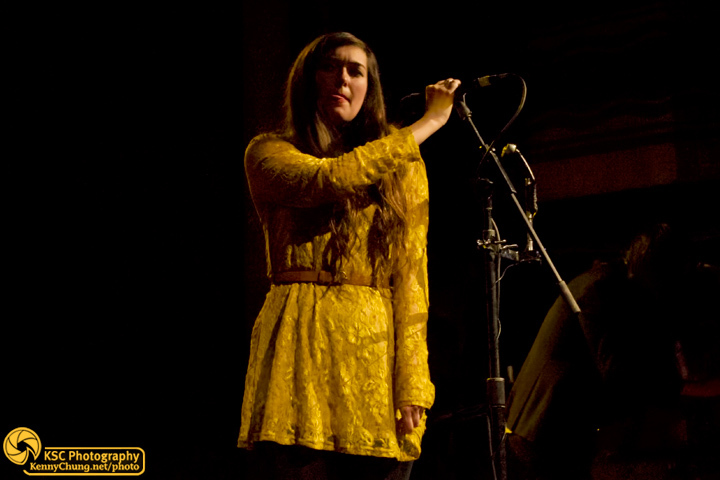 My first concert of 2012 was one of my (and tons of critics') favorite bands from 2011 - Cults. 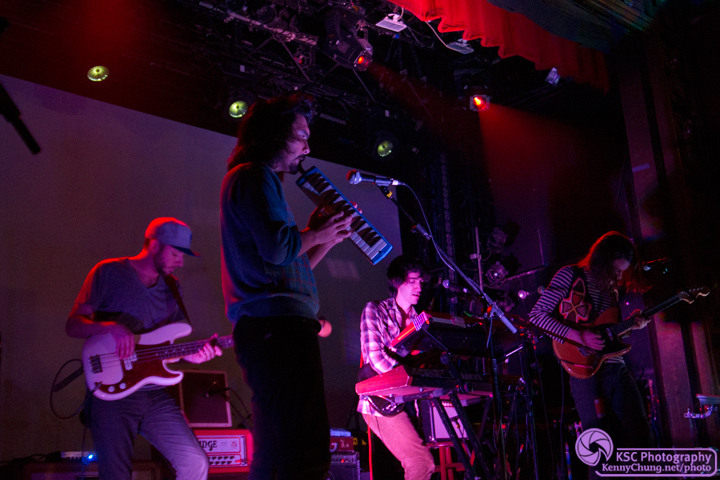 Closing out their tour by returning to New York City, where the band was formed, Madeline Follin and Brian Oblivion led their full live band through about an hour of material. 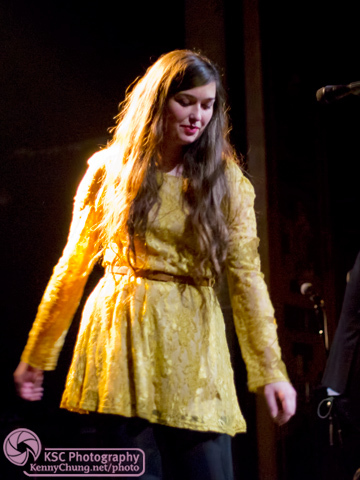 Madeline said that they don't usually do encores, but for this one they performed one song with special guest Freddie Gibbs. There were two opening bands. The first was Dirty Fences, whose gimmick seemed to just be as much metal distortion as possible. The second band Delicate Steve was an upbeat, ambient, possibly post-rock band that was the highlight of the night for me. Delicate Steve sounded like a mix between instrumental Broken Social Scene with a touch of !!! and old Animal collective drum beats. Overall, a very good performance. 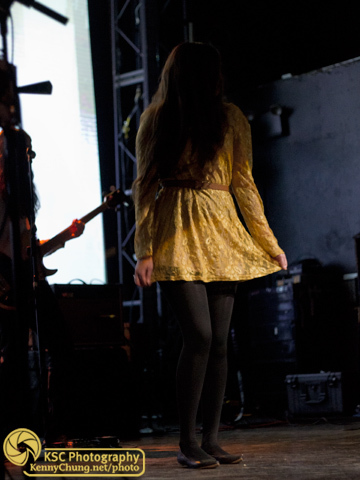 Cults singer Madeline Follin taking the stage at Webster Hall. She was coughing a bit, so I assume she was feeling under the weather. Another shot of Madeline Follin. 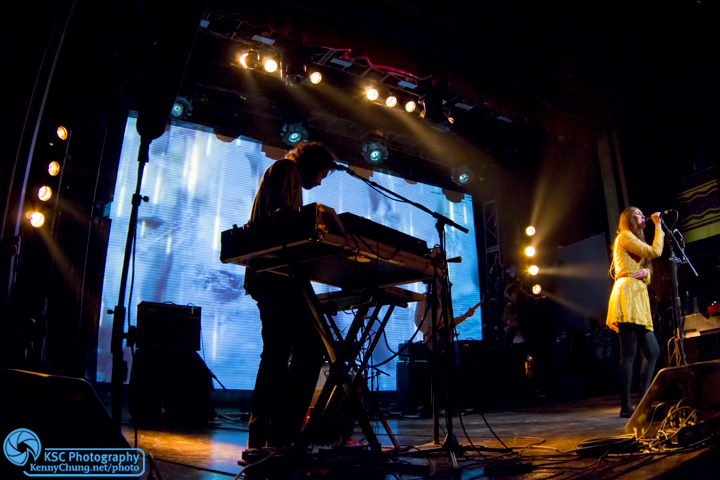 Brian Oblivion in the foreground and Madeline Follin on the right during one of their more visual-intensive song performances. Give them a couple of years, and their shows will really be something super psychedelic worth talking about. Madeline Follin in the dark, looking like the girl from The Ring. 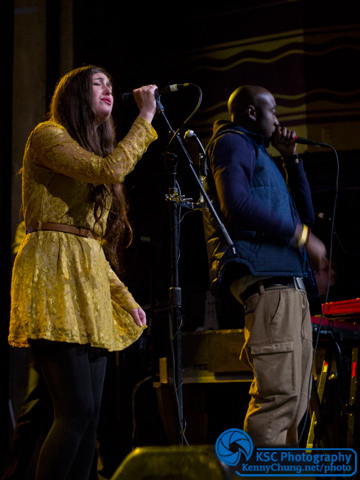 For their one song encore, Cults brought out surprise guest rapper Freddie Gibbs to perform the song "Bad Things."